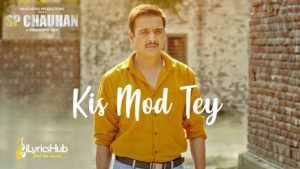 Kis Mod Tey Lyrics from the Bollywood movie “SP CHAUHAN“, The star cast of the movie are “Jimmy Shergill“, “Yuvika Chaudhary“. The Song is sung by Ranjit Bawa. Music of new song is given by Vibhas while lyrics are penned down by Dr Devendra Kafir.